Big thank you to Myton School! A massive thank you and well done to the teachers and students from Myton School – Official in Warwickshire who brought over not only an amazing £1500 but also many items on our ‘much needed’ donations list. 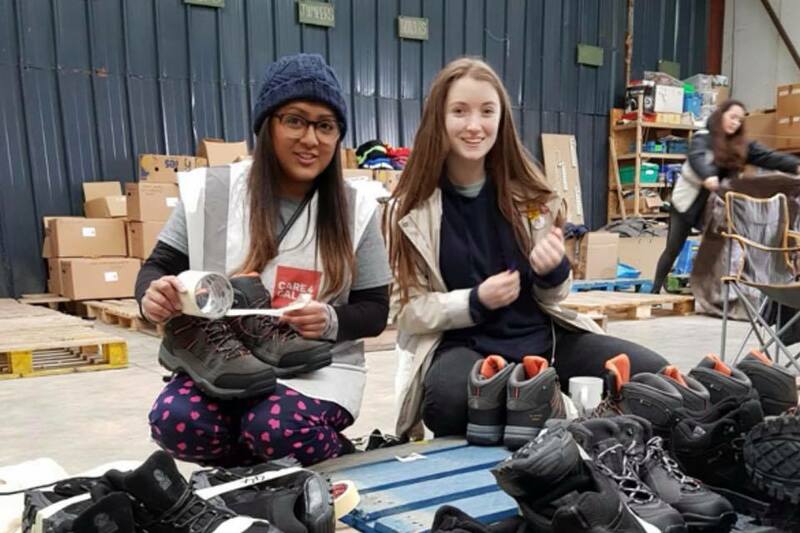 Leila O’Hara from Year 12 (pictured here) spent time working in our warehouse, then came out on distribution with us to deliver desperately needed things to the refugees living in the open in extraordinarily harsh conditions.